We spotted this stock using our ART position trade system, a time proven method that help us to ride on stock trend no matter market is good or bad. 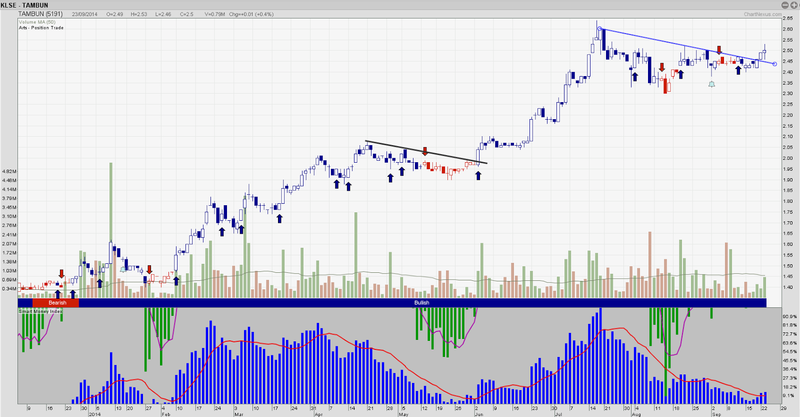 Blue Candle stock represent uptrend and Red candlestock represent downtrend/correction period. Tambun Indah Land Berhad is a Malaysia-based company engaged in investment holding and project management services to its subsidiaries. Its subsidiaries are engaged in property development, investment holding and operation of car park, as well as project and construction management. It operates in three segments: Investment holding, Property development, and Construction and project management. The Investment holding segment is engaged in operation of car park and rental income. The Property development segment is engaged in development of land into vacant lots, residential, commercial and industrial buildings. The Construction and project management segment is engaged in construction and project management activities. 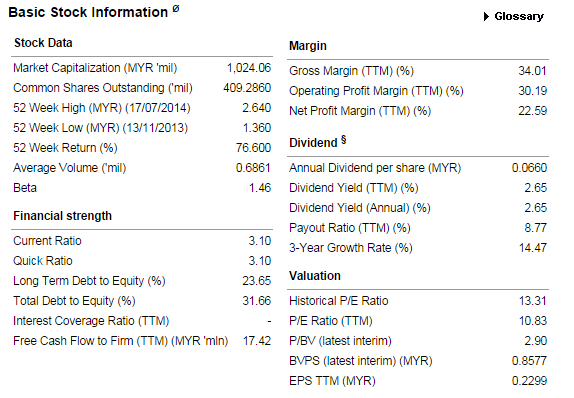 The Company’s subsidiaries include Cenderaman Development Sdn. Bhd., Denmas Sdn. Bhd., Denmas Development Sdn. Bhd., Epiland Properties Sdn. Bhd. and Hong Hong Development Sdn. Bhd.